This month, we’re looking at why Linn’s DSM players are some of the most popular network music players in the world. Today – it’s the turn of the Linn Akurate DSM – a sleek and stunning system that takes your audio experience to a whole new level. The Linn Akurate DSM is a network music player that features an integrated pre-amp, as well as inputs for both analogue and digital sources. It includes Linn’s Space Optimisation technology to deliver a superior listening experience, and can easily handle a variety of audio formats, including FLAC, WAV, MP3, WMA, AIFF, AAC, OGG, and Apple Lossless. The main difference between this player and the Akurate DS is that it includes fourteen digital and analogue inputs that make it possible to connect it to a number of external sources such as Blu-Ray players, satellite TVs, DVD players, games consoles, and digital TVs. You can also go hands-free by hooking it up to your tablet, smartphone, desktop or laptop to browse your music selection and listen to your favourite tunes, albums, internet radio stations, and podcasts in exceptional detail. Of course, a superior music performance isn’t all this top-quality system offers. It also brings TV, movies, and games to life. So, if you want to get the best possible all-round performance from your flat-screen TV, the decision to pair it with the Linn Akurate DSM is one you’ll thank yourself for making for years to come. Making future system upgrades couldn’t be easier as this highly coveted player comes with Linn Exakt Link connections. Exact technology allows the lossless digital signal path to be extended further than ever before, thus eliminating sources of distortion and noise when the digital signal hits your speakers. As we mentioned earlier, this superior DSM player features built-in Space Optimisation – a technology created by Linn that allows you to optimise the interaction between your speakers and your listening environment. This means that factors such as wall materials and the size of your windows no longer have to mean a loss in audio quality. Space Optimisation also means you’ll have greater flexibility over where you place your player and your speakers in your chosen room. To get the very best out of your Linn Akurate DSM, we recommend purchasing Akurate speakers. As a Linn specialist, Rococo Systems can help you decide which of the following models will deliver the ideal performance for your needs: Akubarik, 212, 225, 226 or Akubarik Passive. We also stock high-quality stands to complement your choice of loudspeakers. 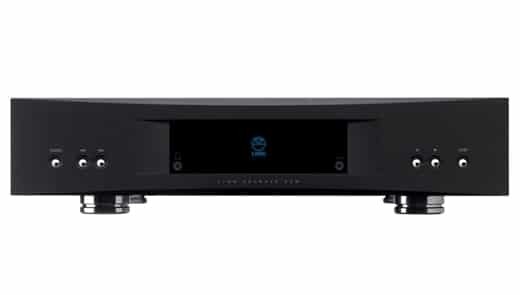 The best way to determine if the Linn Akurate DSM network music player is the right system to choose from the DSM range is by booking a free demonstration at Rococo Systems in Essex or London. We are proud to host dedicated Linn Lounges, in which we can set up complete sound systems that allow you to enjoy a superb listening experience while gaining expert advice from the Rococo Systems team. To find out more, visit our ‘Book a Demo’ webpage.